In the relatively short history of the technology, the attitudes toward and use of video games have shifted dramatically. From a simple paddle and ball (which, fun fact, has roots as far back as 1958, well before the invention of “Pong”), video games have evolved beyond their humble beginnings into a media and entertainment behemoth which generates more revenue than movies or music. As the popularity of video games has grown, so too has the cultural pushback. Gaming, until very recently, has been seen as taking time away from other seemingly worthier tasks: school, outdoor play, socialization and more. 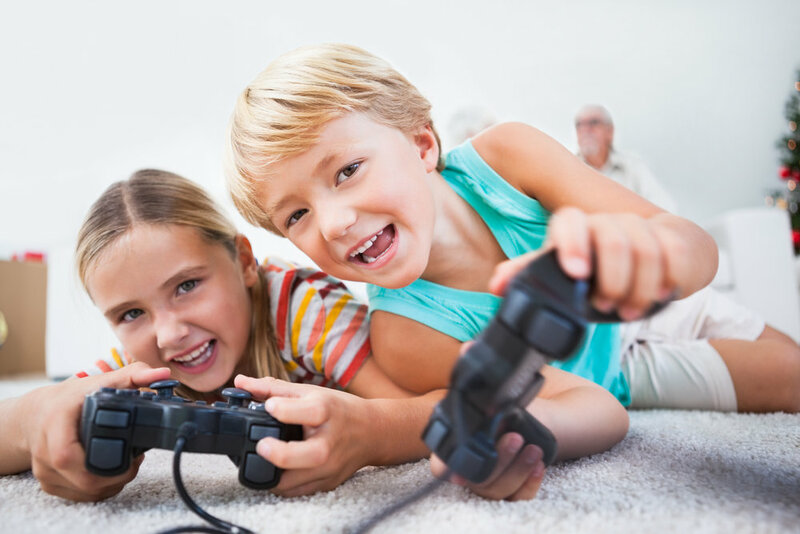 Yet, in an article published by Arizona State University’s Sasha Barab and Anna Arici, along with Vanderbilt University’s Melissa Gresalfi, research shows the value of gaming as a learning tool and that educators should take note. While the trio of professors’ research certainly doesn’t suggest that the latest release of Grand Theft Auto will help a teenager excel on their SATs (although, maybe it will improve hand-eye coordination), it does present a compelling case for using well-designed games as tools for transformational learning. Because of high-powered search engines, anyone with a rudimentary level of computer competence and reading comprehension can summon facts or figures in a matter of seconds. Understanding those facts and how they relate and interact with the broader world, however, exhibits a level of learning and understanding far beyond information recall. This is why chemistry courses have labs, history courses have field trips and English and literature courses require learners to engage in creative writing activities. Quality education has long involved more than rote memorization, but gaming allows this to occur at an entirely new level. Barriers of safety, time and economics are greatly reduced by the virtualization of applied learning. For example, Taiga World—an interactive game developed by Barab, Gresalfi and Arici—allows students to manage an aquatic nature park by taking an active role in overseeing the economics, water quality, conservation, and wildlife ecology of the reserve. In traditional classrooms, a student might learn about these topics separately, but the nature of gaming—much as in real life—integrates these concepts together seamlessly. More than just knowing the requisite information, the game player must draw upon their reasoning and wisdom to deeply engage with the subject matter and make decisions based on what they know and what information is available. This application of information into concepts also includes the introduction of consequences—the cause and effect of decision making. More than a lower grade for unsatisfactory performance, games can show short-term and long-term impacts of decisions in very real, dramatic ways. In the games created by the researchers from Arizona State and Vanderbilt, a failure to understand the importance of proper pH or chemical runoff can spell devastation to the fish population. Likewise, inadequately taxing area farmers or loggers can result in lack of operating revenue and eventual bankruptcy. In another game (“Digital Prometheus”) created by the same team, players are put in the role of ethicist and investigator trying to determine whether to release a Frankenstein-esque monster. Once the decision is made, the results of either maintaining the monster’s captivity, or releasing it, play out in real time. The effectiveness of immersive technology as a learning tool goes far beyond student enthusiasm or anecdotal evidence. A study developed by Barab, Gresalfi and Arici showed that students who engaged with their games learned more of the subject matter and demonstrated greater appreciation for the content than a control group of students taught only in a traditional classroom. None of this is to say that an effective teacher can’t adequately engage students in in a way that promotes deep learning, or that they can’t do it in an entertaining way. They absolutely can. Yet, part of L3 learning requires integrating learning into life in a way that’s meaningful for the learner. Like it or not, many a 13-year-old is likely to prefer the approachability, familiarity and immersive nature of video games over taking part in an academic discussion. This doesn’t discount the value of Socratic academic discussion; instead, consider gaming a valuable partner in education: a slice of cake after finishing your vegetables. And ultimately, as long as learning takes place in meaningful ways, we’re all one step closer to a world where learning is as deep and meaningful as life itself.